As most people who read this blog know, my son, Adam, now 6, is Autistic. As is common with ASD, he also has some physical issues, including a fine motor delay. 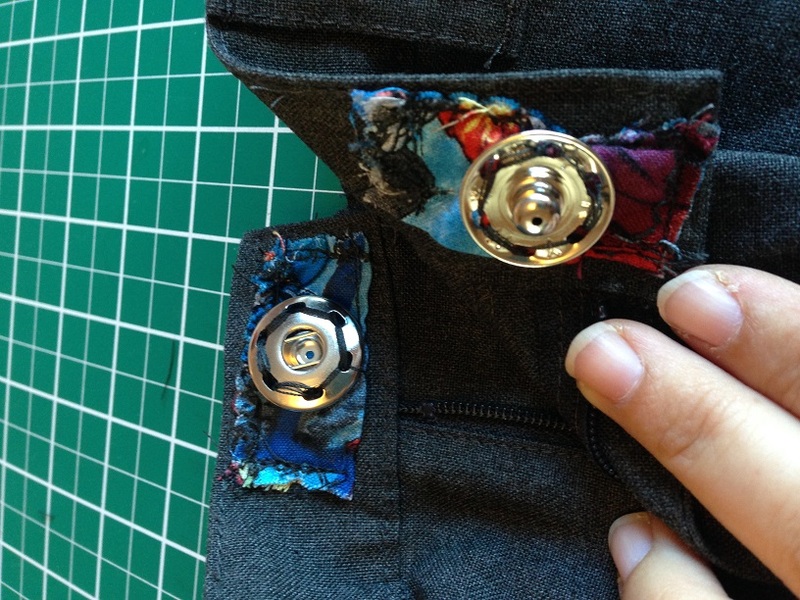 This delay means he cannot button buttons or do hook and eye fastenings. He has just recently nailed snaps and zips but even those can be a struggle at times. The other thing you may know is that Adam is tall for his age. Very tall. As in just over 48 inches tall. Yes. Four feet. At 6 years old. Never forget; I’m only 62 inches myself. So yes, he’s nearly to my shoulder. In any case, this means that I could not find any school trousers without hooks and eyes for him this year. Luckily some of last years trousers were fine in length at the beginning of the school year. But, as he always seems to do, 4ish weeks into the school year he had a growth spurt and those trousers went from fine in length to borderline to nearly flood water length in the space of, I swear, a week. Or maybe even a day. So I needed to solve the problem of how to get a hook and eye off and a snap on. I took a seam ripper to one of the pairs of trousers only to find that Marks & Spencer has some magic way of inserting the halves of a hook and eye through the fabric so I would have to cut the fabric to remove them. I made a face, sewed the seam back up on my machine and started thinking. Snaps over hook and eye. So, how did I do it? Let’s see! 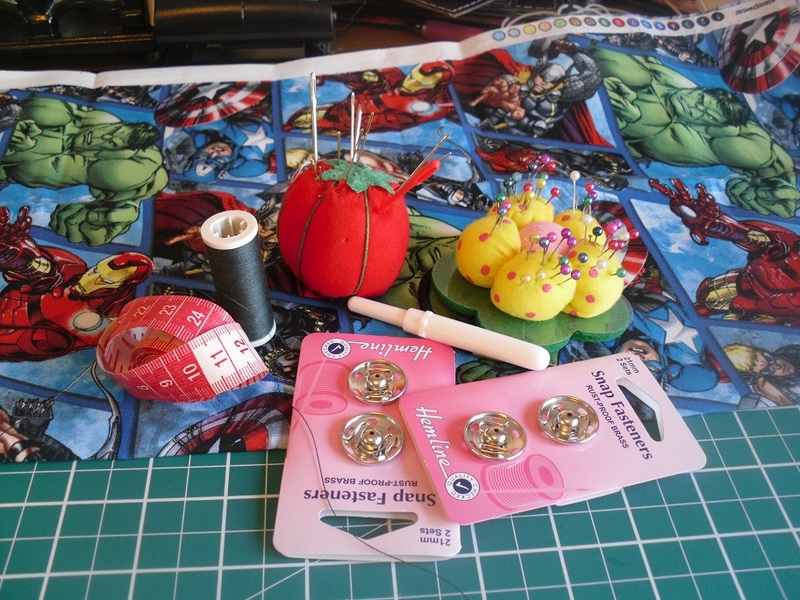 Fabric, measuring tape, thread, needles, pins, snaps, seam ripper and cutting matt. Not shown: cutting wheel and yard stick. 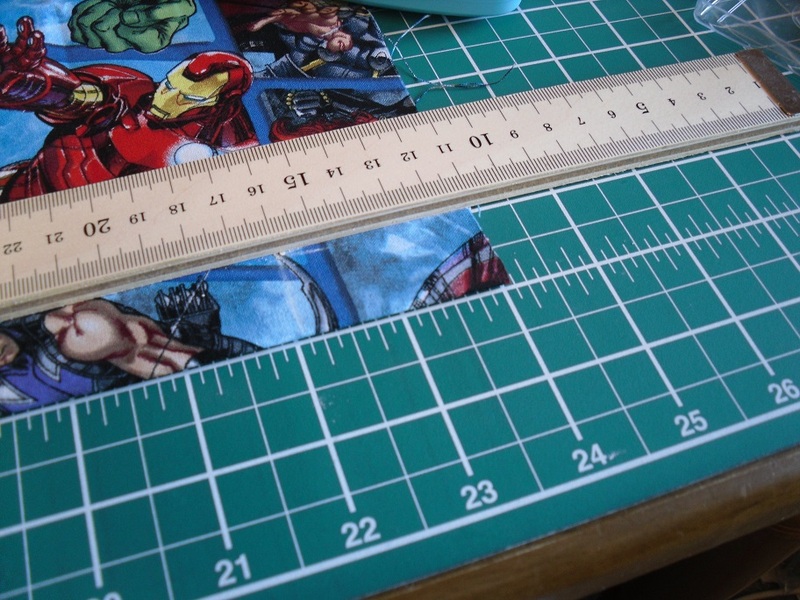 All cut out with my wheel cutter, which is photobombing at the top there! Close up of zigzagged edge. 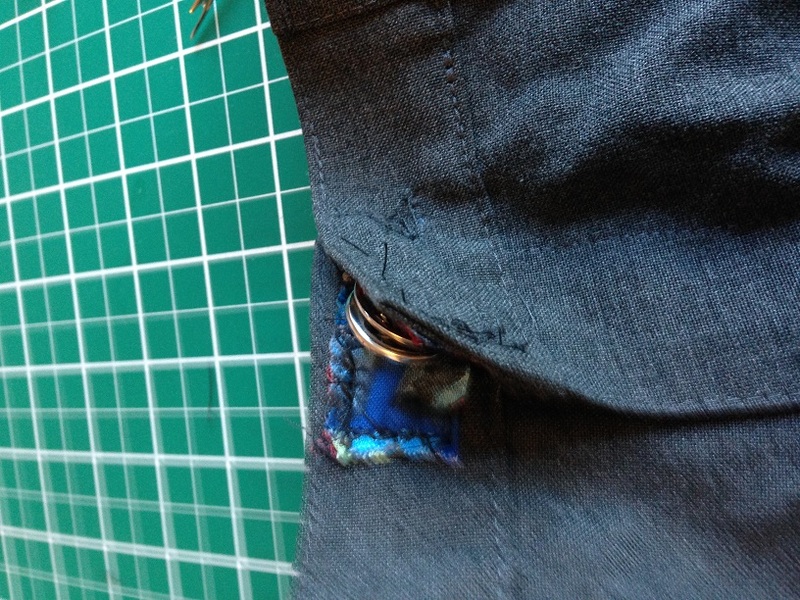 Snaps in position for hand sewing. Yes, one of them is backwards. Again. 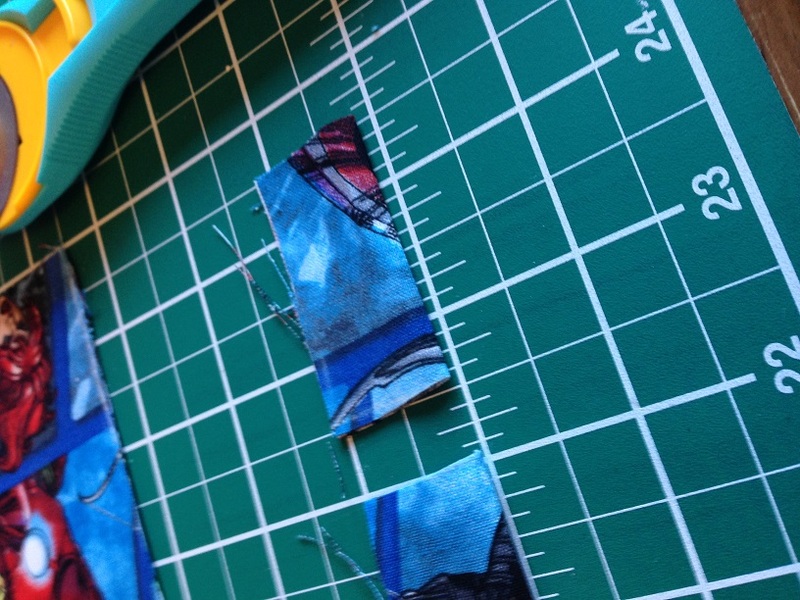 Next I hand sewed the snaps to the fabric pieces. Top Tip: Check you have the snaps the right way around. Then check again. And then again. I had ripped them out more times than I care to admit. And finally, I machine sewed the strips over the hooks and eyes. And when a small but very tall boy tried them on? Perfection!